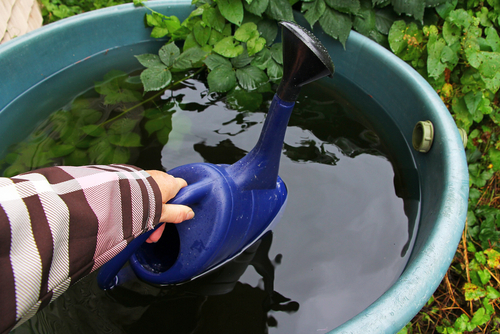 Collecting a natural resource that we have in abundance here in the UK – water – for use in both domestic and commercial situations is a great way of being more environmentally friendly as well as reducing bills. Investing in rainwater harvesting tanks is a step in the right directions towards being planet friendly for the year ahead. The size of the tank you need is largely dependent on the amount of water you are planning to collect, as well as how you intend to use it. If you are collecting water to help with non-potable uses such as watering lawns and flowers, cleaning cars and even for WCs, then having a store of water at all times will ensure you are never caught short. However, if you are collecting water that needs to be processed and clean for human or animal consumption, then you will need a special tank for these purposes. Small tanks, such as the conventional rain barrel can only hold a small amount of water, however, many of the tanks we provide can accommodate much larger quantities as needed. Rainwater harvesting systems are neither time consuming nor labour intensive – rain will always fall, after all! Collecting rainwater is a quick and easy way to ensure that your home or business always has access to a supply of water, as and when you need it. Regardless of whether you need potable or non potable water, we have a tank that will work based on your needs. For more information, please do not hesitate to browse our range here or contact our team on 01889 567700 today to discuss your needs.